In Dalmatia, the Adriatic Sea has gently approached the highest peaks of the Mediterranean Sea, creating a unique landscape that has become a tourist paradise. A coast with a variety of islands, magnificent beaches covered by dense pine trees, white fine gravel on the edge of a crystal clear sea. National parks Kornati, Krka and Paklenica are wonderful excursions along the coast. What would a holiday be without a good meal with local flair. We’re often asked, what restaurant do you go to? 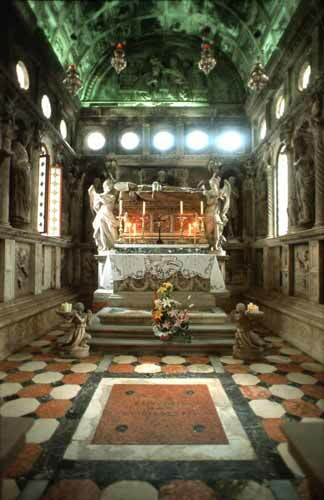 Here a few proposals. There are countless possibilities for organizing your own holiday and entertainment. 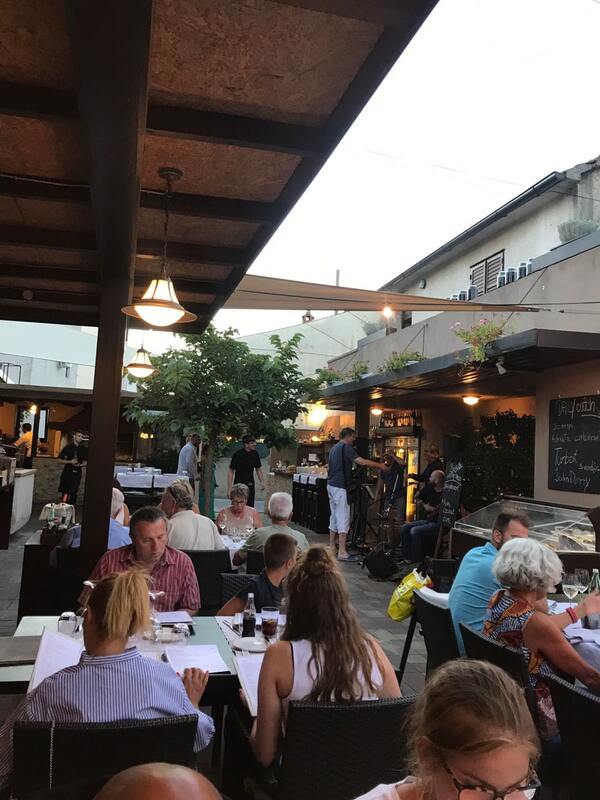 In Murter you will find calming silence, but also funny and noisy Mediterranean nights, which can only be experienced in the south. There are also countless opportunities to spend your free time, such as tennis, cycling, sailing, diving and rafting. The air temperature in Dalmatia is always between 27 and 33 degrees Celsius in the summer months and the water is also reliably around 25 degrees Celsius. NATIONAL PARK KORNATI: The Kornati Islands are the densest archipelago in the Mediterranean and part of it was declared a National Park in 1980 under strict nature protection. The total area of this national park is 220 square kilometres. The area is karst landscape. The National Park also includes the marine area surrounding the islands. The national park consists of 89 islands, 9 places are open for diving, which we visit regularly, snorkeling is generally allowed. 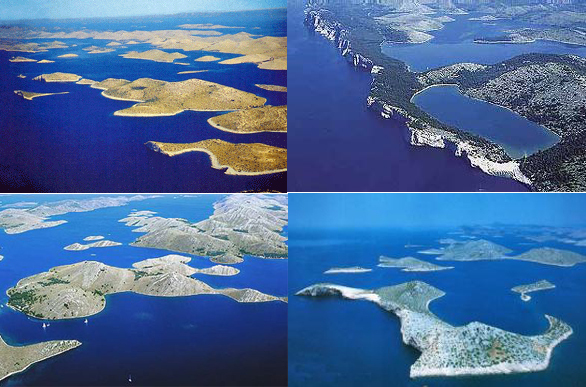 There are numerous offers for excursions to the Kornati islands. For a long time the Kornati islands have been known as a sailing paradise, a number of regattas take place every year. 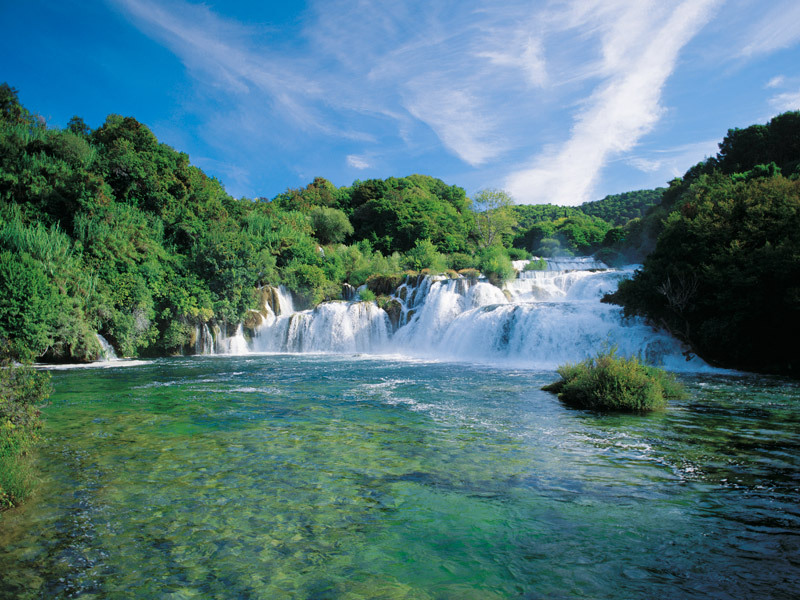 KRKA WATERFALLS: About 40 km away from Murter in the direction of Sibenik the Krka flows into the sea in a magnificent natural spectacle. In its 72 km long run, it forms a series of spectacular waterfalls. 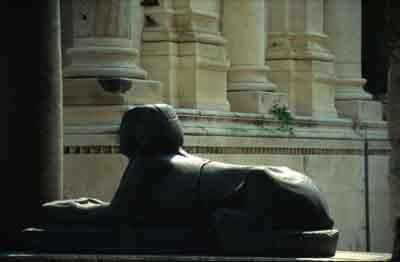 In 1965 this area was declared a national park. More than 850 plant species and 18 fish species make it an important nature reserve. The river valley is an ancient settlement area, prehistoric finds, a Roman aqueduct and medieval architectural and cultural monuments bear witness to this history. 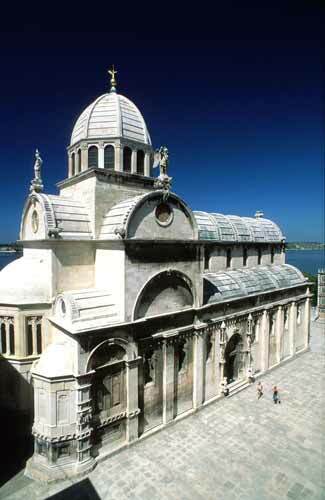 The Franciscan monastery on the Visovac river island and the Orthodox monastery of Krka are among the most important religious buildings. At the waterfalls Roski slap and Skradinski buk you can still see many grain and whale mills. You can make this trip by boat or by car. 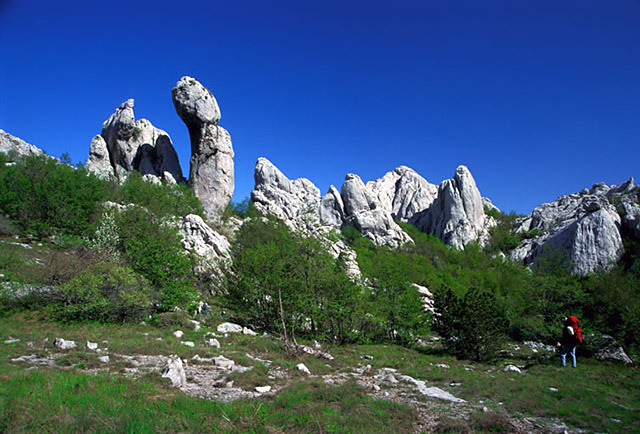 NATIONAL PARK PAKLENICA: Bizarre gorges and steep rock faces characterize this overwhelming landscape. The park is also home to more than 200 bird species, such as the protected snake eagles and griffon vultures. For mountaineers and climbers, the National Park also offers a special Paklenica mountaineer’s card. 9 official hiking and mountain hiking routes lead you through the Paklenica National Park. Discover the locations of the Winnetou movies and follow in the footsteps of Winnetou. www.kroati.de/kroatien-infos/nationalpark-paklenica.html gives you more details about National park Paklenica. 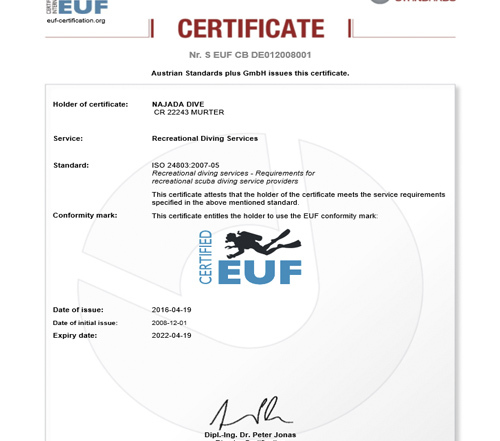 Dalmatia’s cuisine and islands comply with the recommendations of modern nutritional research. Short cooking times, a lot of stewed and grilled food, plus fish, olive oil, vegetables and the wild herbs of the coastal region ensure that this cuisine is considered particularly healthy. The most famous wines are Dingac and Postip from the peninsula Peljesac, Babic from Primosten, Vugava and Plancic from the island of Hvar, Posip and Grk from the island of Korcula, Marastina from the island of Lastovo, Malmsy from Dubrovnik; also Prosec, a sweet dessert wine as well as Grappa and herbal schnapps (Travarica) and Lik. There are many good restaurants in Murter. Here are 6 examples, which we have also had good personal experiences with. RESTAURANT MATE If you are looking for a good, down-to-earth cuisine, EDI is the right choice. Traditional Croatian dishes such as Cevapcici, Pljeskavica and fresh fish from the nearby sea are always a good tip. For divers the restaurant has one more facet, on the walls hang relics from the prehistoric times of local diving. Edi’s father Jure is one of the local pioneers of this sport. Unfortunately, he speaks only Croatian, so it’s hard to get him involved in a typical diving gossip.RESTAURANT FABRO DAMIR (the manager) is known since years of having a row of restaurants if you want something special. For some years now, he has had a new restaurant by the sea with its own jetty for boaters. Underneath an incomparable starlight sky, directly in front of FABRO’s rocking ships to enjoy delicious Gorgonzola steak or fish dishes a la Fabro with ruccola, are certainly among the highlights of a holiday in Murter.TAVERN BOBA If you are looking for a great, classic restaurant on this island, we would highly recommend Konoba Boba. The atmosphere is a good mixture of old and modern, the restaurant has multilingual staff and the food is really tasty.FINE FOOD the former “Mac Murter” offers exquisite gin long drinks combined with excellent hamburgers, seafood, fish or meat. 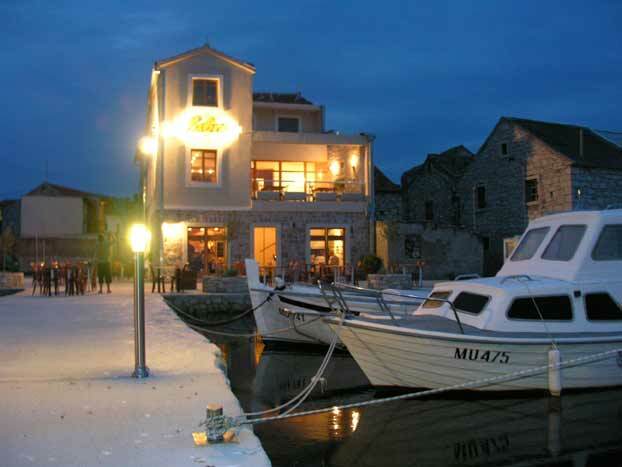 The restaurant offers a modern flair with lovingly served food combined with the passion for Dalmatian culture. KONOBA KARTILAC in summer very popular not only because of the pizzas, but the location: downtown, directly in Hramina. 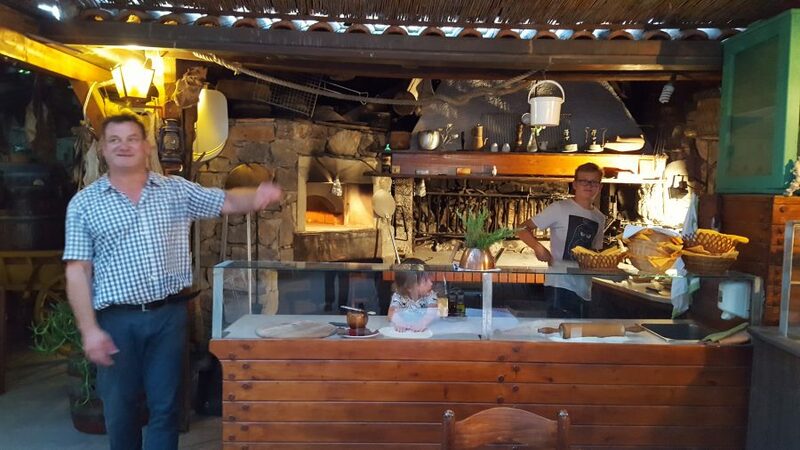 Besides pizza, the restaurant has a traditional Dalmatian cuisine and also serves breakfast. 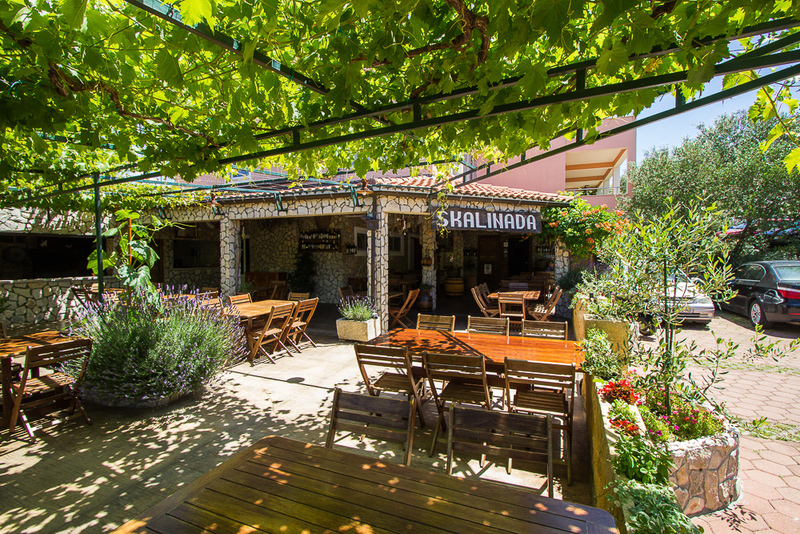 KONOBA SKALINADA Delicious fish and seafood platters await you in the cosy inn on the hill facing Slanica beach. The restaurant has been family-owned for over 30 years. The price-performance ratio matches perfectly.